I couldn't end 2013 without hosting another giveaway! If you follow me or Sedona Lace on Instagram, you'll know that on Black Friday we finally released the Travel Vortex Brush Collection. I wanted to make sure and film a video on the background of the collection, how I developed the case and picked the brushes. And of course, give a bunch of sets away! Check it out! I actually wrote the description of the new brush set on www.sedonalace.com so I thought I'd share it with you! It gives a pretty comprehensive overview of the set. The best-selling Vortex Brush Set is now travel sized! Due to the popularity of the original set, we wanted to create a compact version that is perfect for traveling and personal use. 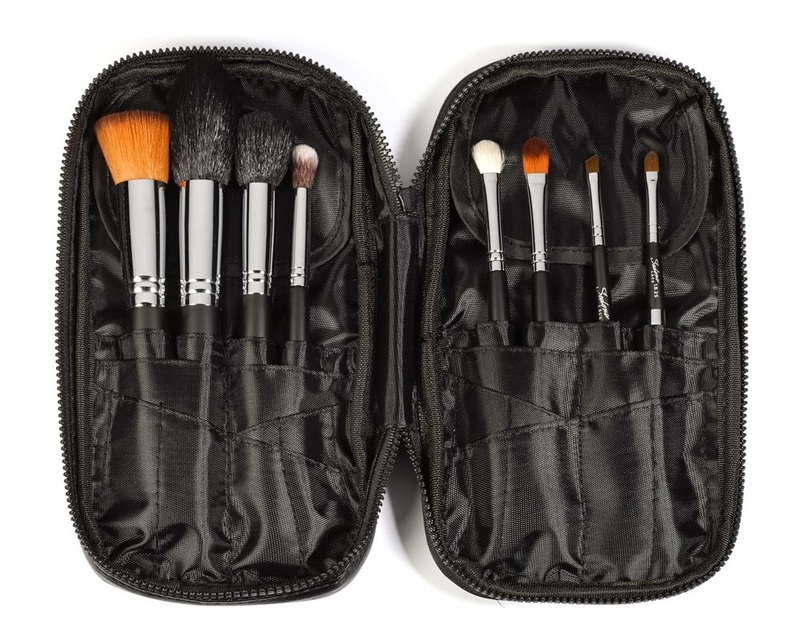 We have condensed the set into the top eight brushes you will need while on to the go, and compressed them to fit into a fabulous travel brush organizer. 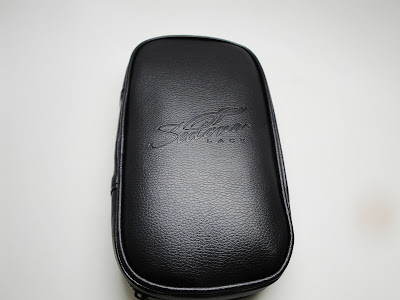 The Vortex Travel Brush Case comes in a durable, leather-like material that is easy to clean. It was constructed flat so that it is easily stored in your makeup bag and suitcase with ease. There are several storage rows of varying heights, which allow you to store multiple brushes and tools. 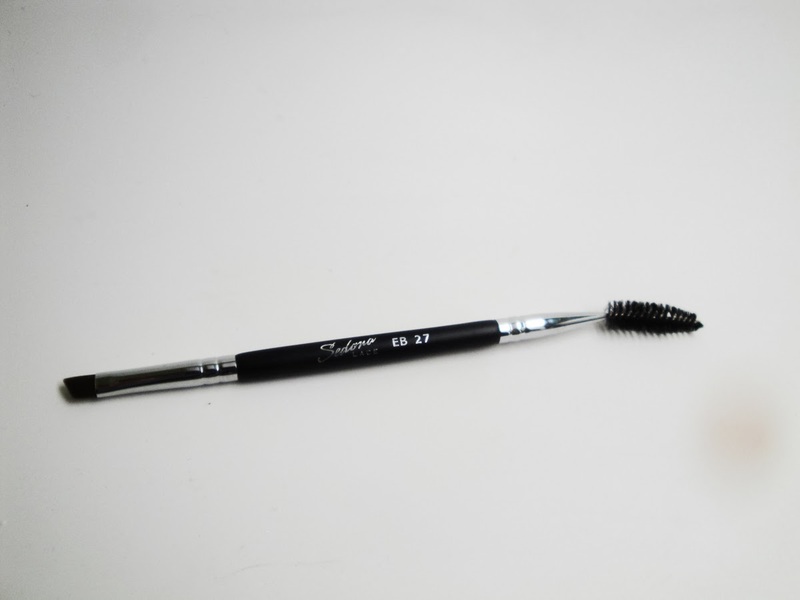 This innovative design ensures safe and easy transport of your brushes. Case dimensions: 23.5 cm x 14 cm. Tip: Keep your tweezers, scissors, and other tools in your brush case to ensure they are always on hand when you need them. I chose the top 8 brushes you'll need to complete a full face on the go. This includes the brand new EB27. As you can see, the Travel brush has the same size brush and ferrule as the original version but the handle is shorter. So essentially you're not losing out on the quality of the brush. The brush case has two sides, enough to hold multiple brushes and tools. The case is still compact yet gives you flexibility to carry more product through the multiple rows of varying heights. This ends up being a total space saver. As you can see, I store tools like scissors, tweezers, and tons of pencils. Guess what! I'm giving away a Travel Vortex Set on every social media channel! Follow me on Facebook, leave a comment on my FB giveaway post telling me why you'd like to win! Follow me on Instagram, leave a comment on my Instagram giveaway post telling me why you'd like to win! Follow my blog, leave a comment on this post telling me why you'd like to win! Follow me on Twitter, I'll have a Twitter Giveaway coming soon! FTC Disclosure: Giveaway sponsored by Sedona Lace. I would love to win because I have very low quality makeup brushes and am looking to expanding! I like to win because this would make it easy to travel when we need a touch up. I purchased the original vortex collection 2 years ago and still love it. I would love to win the travel set because I don't think I need the entire collection when I travel. The selection you made is perfect and I love the case that it comes in. I just love to win cause I am mom of toddler and am infant little girls and drive Mr nuts but I love them! So I need this to make my day! I only wish! Aah thnx for this giveaway!! I would luv to win the vortex travel collection bag because it would be a great start for my first time traveling experience!!!! Thnk u for this chance!! I'd like to win because I have various brushes from differ brands and I would like to win a complete set. Also I haven't tried any brushes from sedona lace and would like to give it a try. Thanks. I would love to win becuz I've never won anything in my life and I'm 32yrs old lol. Wat better gift to win then makeup brushes designed by RenRen. Thank you so much for doing this giveaway. I love this set and the shorter handles. This is absolutely perfect for me since I travel a lot. Feel like I'm living in a suitcase almost. I would love to win a set of these brushes in travel size =) Merry Christmas and Happy New Year. I would love to win this travel size brush set. They look like wonderful brushes. Thank you for this giveaway. i would like to win cause i travel to africa a lot and in romania i cannot find these brushes and d shipping is pretty expensive on d site..
Hi! I'd really love to win this! Because I am starting a makeup collecton, but quality brushes aren't on my budget! I hope I win! I would like to win because im trying desperately to build my freelance mua kit which is expensive &tedious!! I'd like to win because this travel kit looks great i'd like to give it a try. I would love to win because I don't have a travel set of makeup brushes and would love a separate set to travel with instead of packing full size brushes all the time! Thank you! I have never tried Sedona Lace brushes but I've only heard good things so winning would be great! I'd like to win because I have just 2 sedona lace brushes (for eye blending) and it would be great to have more. I would like to win to have an extra set. I love them! These brushes look awesome! I would like to win because I don't have any travel brushes. I'd like to win because i have never tried sedona lace brushes. I would love to win these brushes because I absolutely loved the full size Vortex set, and this one would be great to travel with. Thankss alot for this chance !! I would love to win because I am always on the go. So my makeup bag is soooo bulky it is annoying. Lol I love your brushes but never had the money to purchase them. I love you would love to meet you when I move to Atlanta next year!!! Those brushes will be great for my several trips! Yeah I want to win them soooo bad! I would be so happy is I won these brushes because my passion is doing makeup and I would love to have some quality brushes that are great and easy for me to either throw in my purse or just for at home use. i would love to win it because i am a mommy to be and just throwing the travel set in my purse will make it easier to do my makeup on the go! I have had the chance to test these brushes while my sister came is Canada to visit for the holiday and I have to admit that these are amazing and all you need on a day to day basis! I am not super savvy make up wise and love anything that is simple, but I do love that the brushes I use are of good quality! I want to win this kit! I would like to win because I don't have a complete "designer" set of brushes. 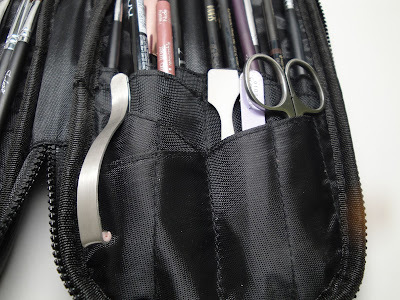 Plus, when I traveled earlier this summer, I had to put my brushes in a ziplock baggie. I would like to win because i would love to try sedona lace brushes! I only have used a few elf brushes as of now. because I don't own any good quality brushes. Merry Christmas to you and your loved ones!! I would love to win because I really could use good brushes in my makeup kit. I am building my brush collection. I would love to win because I don't have decent I brushes I always have to glue handles back on or the bristles fall out. I would love love love to try these fab brushes they look great and seem to be such a great price. I have only a couple of travel sized make up tools and would be ecstatic if I won this travel set -- and it being a Sedona Lace Vortex collection to boot! I would like to win these brushes because I need new brushes! i'd love to win because I want to start venturing the makeup industry.. its really something i love! :D would mean soooo much to me if i win! thanks ren! :D have a great year! I've been hunting around for a good travel brush set while building up a set that would give me what I'm looking for/ good size makeup bag. I have yet been fully satisfied but I am hoping yours would be the one of my dreams! I would love to win 'cause thes would be a great belated-present for my makeup lover adorable sister! She really deserves prof brushes! This is such a great little brush kit. I would love to win because I have always wanted to purchase the Vortex set, but my budget never allows me too, and because I am always on the go and they seem perfect. I'd love to win because this brush set would be perfect for when I travel!!!! I've been eyeing this fabulous set for awhile & it was sold out on Black Friday/Cyber Monday & now thanks to your giveaway I might be able to win it ;) Hope you had a wonderful Christmas! I would love to win some quality brushes! Most of the ones I have are ELF brand, so I'd love to try something new. Thanks for the chance to win! 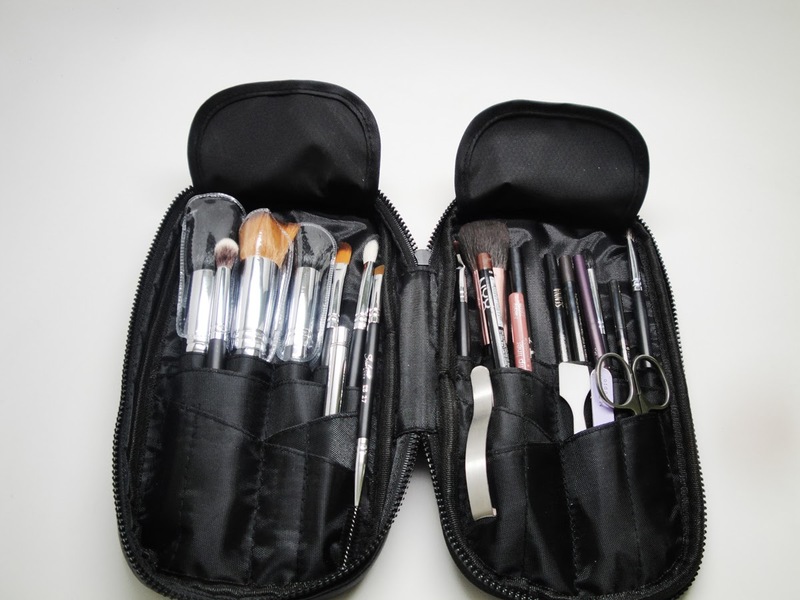 I would love to win this set because i want to learn makeup by having a very good quality of brushes. I want to start a beauty blog or channel on youtube. Thanks so much for this international giveaway :-).. So sweet of Sedona Lace to sponsor such a massive giveaway. I wish to win because I really would like to have a brush set. Applying with fingers is just not enough. It doesn't give the desired outcome. I have an Ecotools set but it's shedding and it's just not nice anymore. I really hope I win! I would like to win because I eant to try the sedona lace brushes. Also I can't find good quality travel brushes where I live, at least for my budget. I would love to win! This is perfect for travel! My husband and I travel a lot and I hate packing all of my brushes! This is also perfect because I can store a lot of my eye liner and lip pencils! No more extra bag for makeup!!! 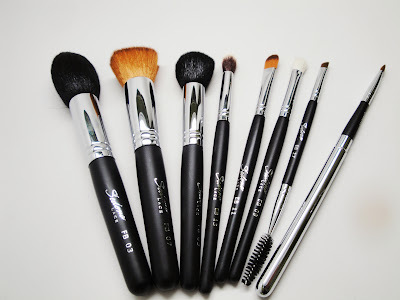 I would like to win because i cant afford brushes like these and it would be very nice to win them so that i can have more fun doing y makeup and wont struggle with shedding or bad brushes! I would love to win the Vortex Travel Brush set because the brush set would provide me with the tools necessary to build my skills as a freelance makeup artist. Although these are travel brushes, I enjoy the smaller handle for my hand size. Good luck to everyone! I'd love to win these brushes because I don't own any travel makeup brushes and I am in love with the fact that these brushes come with full sized heads and are in such a compact case that I can fill up with my travel makeup tools and goodies as well.